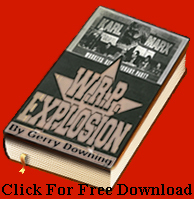 Very moving account of life’s struggles for Trotskyism and revolutionary principles. Pat Brain (My Father) who died on January 25th 2017 met and was educated by some of the most outstanding Trotskyist cadres of the pre-Barnes American SWP. Today when I was preparing to write today’s document on the cold war escalating with Russia I was thinking what Pat told me over the decades. A few years before he died I would recall his profound Trotskyist statements. He drew a paraell with how outstanding Canadian Trotskyist Ross Dowson who spent years training him in Trotskyism. Since Pat’s death the penny has dropped that his ideas may have revealed what the American SWP in alliance with Canadian and British co-thinkers were really thinking.